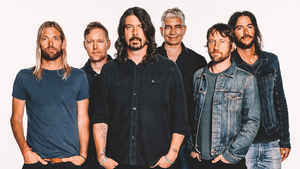 Dave grohl, from the band "Foo Fighters", has dropped a new music video called "PLAY". This music clip is the one you can feel the character of Foo Fighters' sound. This " Heart-Shaped Box " video is kind of similar to one of the music videos released by Japanese Artist RIngo Shiina...and wonder why... You can see it from the link below. Dave Grohl's new song shows the preciousness of making and playing music. Dave amezingly plays all instruments in this 23 minutes piece with no vocal tracks ! In the 1st part of this film, Dave explains why he starts this kind of foolish project...his knowing and impressed with the situation that many chidren was in the project called "Join The Band" and they gradually got into playing musical instrumennts. Children, who haven't played instruments before, join the band and fascinated with playing music. After 8 minutes documentary-part, we can see "PLAY" music video. Dave seems to show how beautiful playing musical instruments is! Dave sets rules for this recording...playing all the instrumens by himself and playing all over again from the start of the song if he makes mistakes. In first 8 minutes of this film,we see "Join The Band" children scene and Dave's recording scene alternately. Dance, the way of express youself, is very cool and modern. Playing instruments is very different on the other hand. Many Musicians is making music with only computers, not playing instruments physically. In this film, Dave might try to tell us "Just express yourself with your body, with instruments", "You can find something important for your life" ! Dance is surely one of the most physical expression of human art. In Japan, dance education is the important carriculum and is getting popular in a lot of school. When you dance, you can see and evaluate how your dance is only through the eye of someone else.. Playing musical instruments almost means talking with yourself. Playing musical instruments, we use those tools which is not a part of ourselve's body, and we hear the sound thru those tools. We adjust the moves of ourselve's body sumultaneously listening to the sound we have played. This "feedback inside of ourselves" is the important feeling when playing music, compared with "dance" needing the evaluation from outside of ourselves. This means we talk with ourselves through others as musical instruments, in fact.